How To Unbrick A Bricked Android Lollipop Smartphone? Android smartphones are the most sought out and flexible in every major market in the world. It brings a higher-level performance and numerous user-friendly functions, from simpler personalization to completely altering the operating system as per your micro-specific requirements. The best advantage for an Android user is the ability to play with ROMs, kernels and new settings. However, when a procedure goes wrong, even a basic auto-update can bring a bug to your device and brick it. However, before we discuss the nitty-gritty, it is imperative to understand what does the term “Brick” mean concerning an Android handset. hard brick, caused by hardware. Why Does An Android Phablet, Brick? The primary objective is to find the cause of the problem. If your Android device is bricked & you are unaware of the possible reason, then we have got you covered. The interruption caused while updating an Android device is the leading cause for bricking. The disruption may occur in the form of an in-device power failure, user interference or partially unusable & overwritten firmware. Installing defective or incorrect firmware on a faulty hardware. Installing firmware from a different region. Interrupted update session, or unplugging from charging during the update. If you identify with the above-listed situations, then it is time to comprehend what happens during the process of bricking entirely. An Android phone gets bricked due to interruption while rooting or during the process of an OS Upgrade which can render your device useless. If your Android phone is soft bricked, then you will not be able to boot the ROM, and hence, it keeps rebooting, or it may not turn on. When you try to run the device in a recovery mode, it freezes. While a hard bricked Android phone renders it useless. However, soft brick is easy to fix by resetting your Android device or formatting the Cache Partition to remove user data and cache files that can make it work again. How To Repair A Bricked Device? To fix an Android bricked device, you need a third-party program. 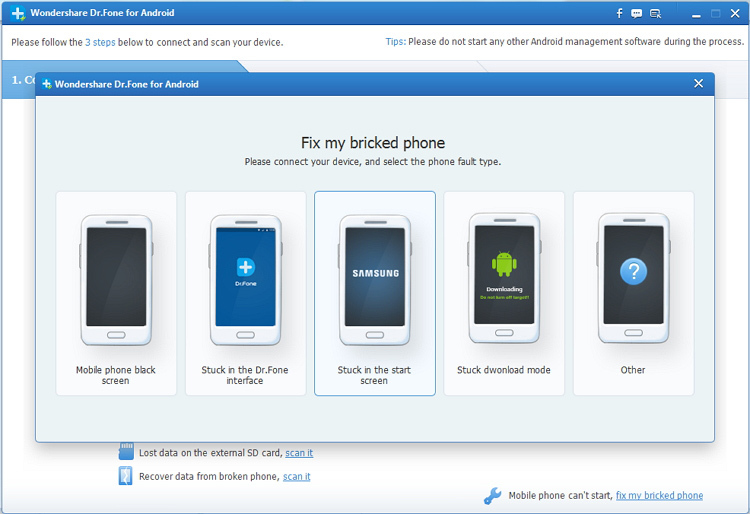 Use the Android Data Recovery Tool to recover Android phone data affected by bricking. To repair, you need to have Java installed. In case you already have it, consider upgrading it. Get OneClick Unbrick (for Samsung devices). Windows OS users need a decompressor; such as 7zip. Right-click the .exe file, open the Properties, then the Compatibility tab and select Run this program as administrator. Open the .exe and continue until the Heimdall installation is complete. When the installation completes, you will see the One-Click UnBrick interface. Connect your device via USB to the computer and click on the soft brick to recover your device. Bricked Android phones or tablets suffer from data loss. So, it is paramount to recover Android bricked phone data like contacts, photos, music, documents and other essential information on the device. If your handset reboots non-stop, try to install a new ROM & put the device in a Recovery mode. Press the Volume +, Home and Power buttons simultaneously. You will encounter a menu list. Use the Volume buttons to scroll up & down. Find Advanced and choose Clear Dalvik Cache. Return to the main screen and select Clear Cache Partition and then Clear Data/Factory Reset. It will remove all your settings and applications and use the correct ROM. Reboot the device to fix the problem. Step 1 – Download dr. fone. After installation, start Android Data Recovery on your system and then connect your Android phone or Tab to a PC via USB cable. Step 2 – Configure Android to enable USB debugging and then, enable it. Three different modes exist for Android devices running on different operating systems. You can debug your device’s operating system as noted below. Android 2.3 or earlier: Enter Settings–> click Applications–> Click Development–> Check USB Debugging. Android 3.0-4.1: Enter Settings–> click Development Options–> Check USB Debugging. Android 4.2 or later: Enter Settings–> Click On the phone–> Tap Build Number several times until you see a note “You are under developer mode”–> Back to Settings–> click Development Options–> Check USB Debugging. 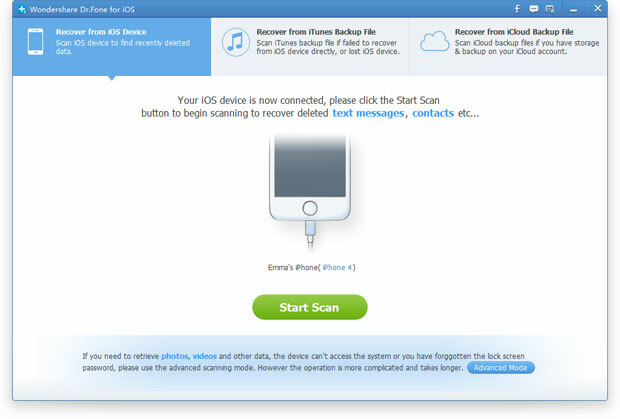 Step 3 – Once the permissible USB Debugging is complete, the recovery tool will recognise the device automatically. After that, click Next to allow the application to check your handset for Android Coolpad Data Retrieval Phone No./MAC Indicator. For successful scanning, you must make sure that there is at least 20% of the battery for the phone. Step 4 – If you have rooted your Android phone before, you have to allow the SuperUser authorization tool on your Android device before proceeding with recovery. You just need to tap the Allow button, to a pop-up message on the phone screen. Then, get back to your PC and click Start to begin the scanning process. Step 5 – To save time, this tool offers two modes of the scanning process. 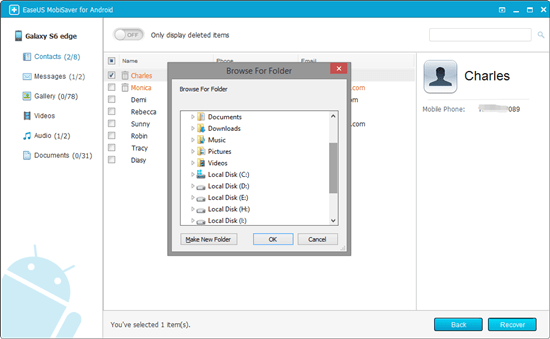 You can choose Scan for deleted files to scan only the deleted files. Step 6 – View and retrieve data from an Android device. The tool will take some time to analyse the data. After that, you can see the recovered data found in the scan result. If you want to recover photos, click on the Photos section and select the photos you want back on your PC. Finally, click the Recover button and after a few device reboots, you can restore erased images from your Android device. Although rooting is a known cause for bricking, it is not unrecommended to root your Android. If you found these steps useful, share with us your experiences in the comments section & spread the word around.